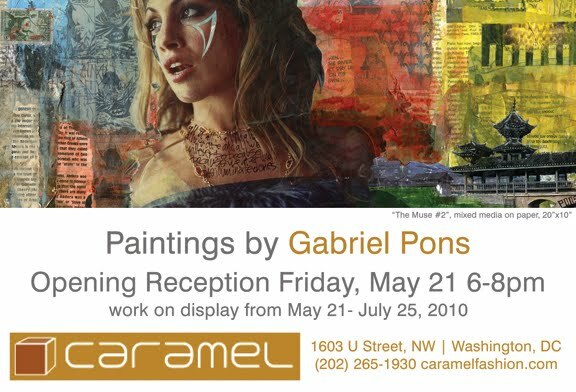 I'm excited to announce that I'll be showing select work at Caramel in Washington, DC this month. The opening reception is Friday, May 21 from 6-8pm. Smart, sophisticated, and stylish, Caramel offers unique clothing and accessories for men and women you won't see on everyone else. The U Street boutique features international, national and local designers, as well as eco-friendly fashion and vegan accessories.